There are several reasons why you might want to consider sinus balloon surgery. If you’re a person who has suffered sinus infections for any extended period of time, rather than just an occasional episode, you’re probably well aware of all the symptoms which can intrude on your quality of life. People who have recurring sinus infections are often bothered by nasal discharges which are embarrassing and can be quite a nuisance, frequent congestion, and facial pressure or pains which can become very distracting. When an episode comes on, it can cause the symptoms to persist literally for weeks at a time, and once they clear up, they often return with a vengeance to begin another cycle of aggravating symptoms. If you’re a person who has a noticeable snoring problem, this is another reason why you might want to undergo a balloon sinuplasty procedure. The same process which clears out your sinuses and removes unwanted material from them can be very effective at reducing your snoring issue, assuming that the primary cause of your snoring is sinusitis. What Exactly is Sinus Balloon Surgery? The procedure itself is a far cry from traditional surgical procedures, and in fact, it’s so minimally invasive that any patient undergoing the treatment is generally able to drive away from the doctor’s office within half an hour of having been treated. Balloon sinuplasty is indicated when recurrent sinusitis is troubling a patient, which is a condition involving persistent inflammation of the sphenoid, maxillary, and frontal sinuses. Balloon sinuplasty does not involve any kind of incisions or removal of any tissue or bone. Instead, it makes use of a small, flexible balloon which is inserted in the nasal passageways and directed to specific sinuses. This allows mucus and other material to drain out, and once that happens, the patient will normally feel much of the pain and congestion attributable to chronic sinusitis disappearing completely. In fact, many patients have reported significant improvements right during the procedure itself, as they feel unwanted material being discharged. People who have chronic sinusitis or recurrent sinusitis are generally good candidates for undergoing the procedure known as balloon sinuplasty. Chronic sinusitis is considered an infection that persists longer than a 12-week period, and recurrent sinusitis is a condition which never fully disappears. 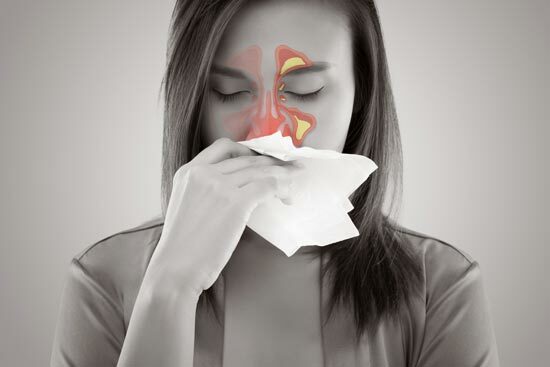 more than four cases of acute sinusitis during a period of one year. Sinus balloon surgery is a minimally invasive procedure which can be used to treat chronic sinus inflammation and other related symptoms. You may not be a good candidate for the balloon sinuplasty procedure if your medical condition is related to ethmoid sinus diseases. The ethmoid sinus itself has a great number of cells, all of which are prone to inflammatory diseases. Patients who are troubled with diseases of the ethmoid sinus are not good candidates for balloon sinuplasty procedure, although the treatment has been used in such cases anyway, with the results being generally disappointing. If your sinus issues are instead attributable to the maxillary, sphenoid, or frontal sinuses, these conditions are cleared up by balloon sinuplasty, and the percentage of effective results is extremely high. There are several very good reasons for choosing a balloon sinuplasty procedure over some other options. First of all, by the time you get to the point where you’re even considering the procedure, chances are you have already tried other medicinal options which failed to provide the effective relief you’re looking for. This indicates that your sinusitis condition probably cannot be cleared up medically without a more comprehensive and effective approach. The great thing about the balloon sinuplasty procedure is that it’s far less invasive than any kind of surgical option requiring incisions, or the possible removal of nasal tissue. That fact leads to the next big advantage of balloon sinuplasty, which is the very fast recovery period associated with the process. While there is likely to be some subsequent continuing drainage from the nasal passages for at least a couple days, after that the only effects from the procedure are positive ones. The patient’s breathing will generally be much better, and you will probably experience any sinus symptoms to a much lesser degree, if at all. Because it’s such a simple procedure, it’s very easy to fit it into your normal schedule, with no major preparation and no major follow-up necessary. It’s also a very quick procedure in your doctor’s office because no hospitalization is needed, and because it only requires local anesthesia to numb the affected areas. One final reason for choosing sinus balloon surgery is its success rate, with the vast majority of patients experiencing significant relief almost immediately after undergoing the procedure.